Question 1. What is your delivery time? 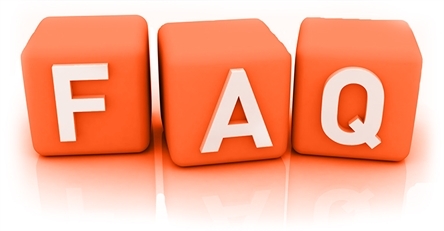 Answer : The delivery time will depend on the quantity of your order and how many order we are under processing. Usually the delivery time is about 7-15 days. Question 2. Does factory pass any certificates? Is it harmful to children health? Answer :Our factory has CE & TUV factory audit, and SGS, CQC, ISO, ASTM etc certificate. Our products would not do harm to kids health. The material is Security. It is Environment-friendly and non-toxic. Question 3. Can you produce the product according to our drawing or ideas? Question 4. May I have my own logo or design for the products? Answer : Yes, we can print your logos on, and if your logos are not quite complicated, logo printing will be free charge. Question 5. Could you accept the order of 1 set please? Answer : Yes, we accept the 1 set of order. Question 6. What is your payment terms ? How do I pay? Answer :Pay by T/T (Wire Transfer), Western Union or MoneyGram, PayPal, Credit Card. 30%-50% deposit, balance after finishing production, before shipment. Question 7. Can I assemble the products myself? Answer : Yes. We will provide you the detailed CAD installation instruction. All of our customers can install the playground themselves with the help from us. But for large indoor playground more than 300 square meters, it’s better to ask our worker to help you install it. Maybe the cost will be a bit higher but it will shorten the time greatly and other problems from wrong installation. Question 8. Q: How to order? 1). Please choose our models or the photos you need, offer us your order quantity and all specific requirements if you have. 2). We will give you best price with other order details. 3). after you confirm the order, we will make Pro-forma Invoice under by order and payment details. 4). We will start production upon receipt of deposit. 6). We will make/release shipment and send you shipping documents upon receipt of the balance payment.